Things to know before buying arrow throwing boards – How to choose the best dartboard for you. Want to play dartboard, with friends/family in free time? yes from me always. This is one of the best way to spend your free time inside home. So if you decided to buy an Arrow throwing board, commonly known as Dartboard, following list will make it easy .This article also throws light on different aspects of the game and the points you should know about the game before buying the board. Arrow throw board/dartboard is an exciting game which helps in relaxation. For playing the game more efficiently, you need to have a good board. Or not really. You can convert a wall into a dartboard 🙂 . A good quality board is something which is more durable and which can hold the dart very effectively. If you are picking up the arrows from the floor while playing then you have definitely chosen a bad arrow throwing board. 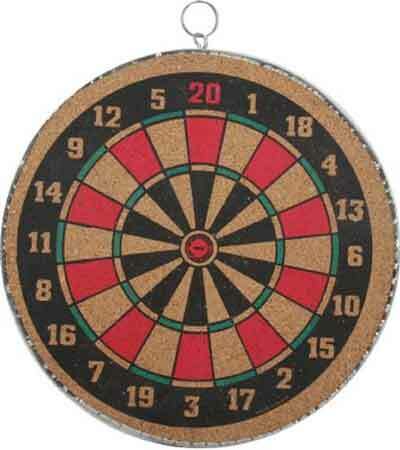 Different sizes of dartboards and which one is best for you. In order to choose a quality arrow throwing board it is essential to know more about all aspects related to it. An arrow throwing board is a circular board which is close to 17 inches in diameter and divided into 20 sections. The innermost circle is called ‘Bull’s eye’. The arrow throwing board is ideally hung at 5 feet 8 inches height from the floor. This way the centre of the board which is the bull’s eye comes at eye level for a 6 feet tall person. Hanging a dartboard board on the wall is an art in itself. If you don’t want to put screws on the wall then you hang the board on a speciality stand. If you want to hang the board on a dry wall then you need to buy a small piece of plywood and then attach board through the plywood panel. 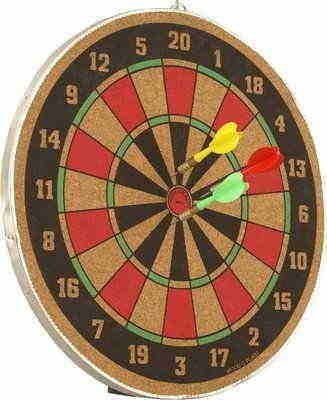 Magnetic dart boards – In this type of boards the arrows have a magnet at the tip of it. When they are thrown they get stuck to the board because of the magnet. 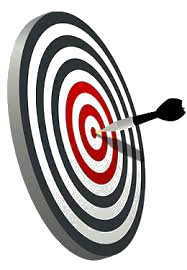 Electronic Dartboards – Electronic boards keep a track of score. It is just like other boards but it has an inbuilt calculator which tracks the score. This makes the game more exciting. Arrow throwing board for kids – There are simple arrow throwing boards for small kids who are 6+. They can be easily carried anywhere. These boards come with a small rope which can be hanged easily on any surface. Geologic boards – These boards are made up of high quality materials. They have longer life as compared to other boards. These boards come up with high quality separators because of which there is more accuracy. They have readymade wall mount fittings. Super 3D Boards – Such type of boards have special character imprinted on it. For eg Batman, Superman, Mickey mouse etc. Throwing arrows on their special characters is ultimate fun for the kids. Bristle arrow throwing boards – This type of boards are widely popular. They are made of sisal fibers. Bristle boards are used for professional arrow throwing board games. Just choosing the right kind of board is not enough. You should also choose the right kind of arrows. The arrows should have the right kind of weight. Ideally it is between 18 to 23 grams when they are made of Brass. The material used for making the arrows are Brass and Tungsten. Taking an expert who knows about the game before purchasing an arrow throwing board is always a good idea. These dart boards, which are available in 12inch, 14 inch & 16 inches are best options for kids. Make material of is plywood and cork. Along with board, you will also get few darts & a plastic hook also. Non Magnetic very fine quality dart board. Material is wooden. This one comes with Three Arrows, It is double sided dart board. You can play with both sides. Will help in developing Hand & Eye Co-ordination, Problem Solving etc in kids. Material is Plastic, comes with arrows. Size 18 inch, Colour is Black, Red combination. Can be hanged on wall with just one nail. official size dartboard made to last for competition use available in decathlon online store. Structure is 95.0% Rice Straw & 5.0% Steel.